We are a small charity registered in Scotland that supports women from disadvantaged backgrounds in Malawi to access university education. Malawi is one of the world's poorest countries. Education is essential to its development. By focusing on women, the overall impact is greater, going beyond the individual to entire families and the wider community. With Soko's support, Malawi now has more women graduates in education, healthcare, business, agriculture, management and other sectors - all contributing to the country's development. We work with partners at each step of the journey from school to university to entering employment to ensure the best chance of success for the girls and women we work with. We work in partnership with secondary schools to encourage young women to consider going to university, promoting its benefits and the possibility of support from Soko. 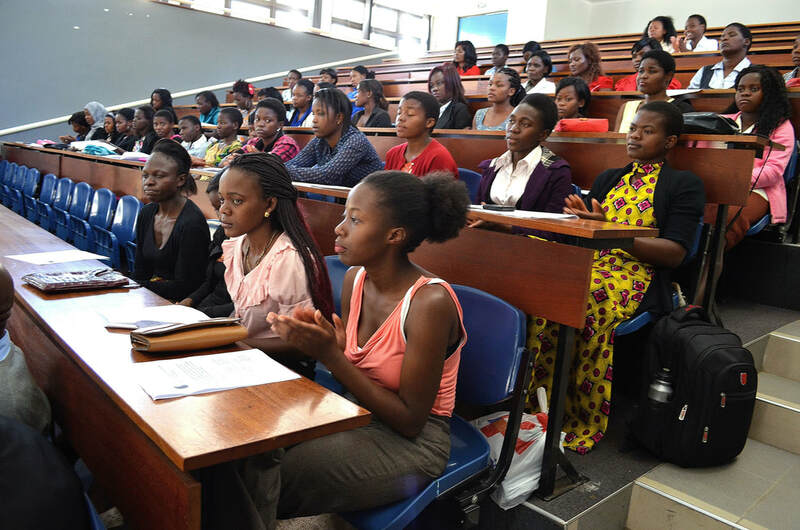 We work with Malawi's four public universities to provide scholarships to women from disadvantaged communities to study vocational degrees in subjects including education, health, engineering, business and agriculture. The Soko Graduate Association (SGA) offers support to graduates as they enter the labour market, including access to internships, skill-building workshops and information on job opportunities through SGA's online job centre. Winnie Mkandawire, one of our Graduates, shares the inspiring story of her time as a Soko Scholar, and beyond.